The next six months are critical to ensuring that the Sustainable Development Goals (SDGs) include a clear, measurable target to reduce illicit flows from trade misinvoicing (roughly 80% of all outflows) by 50% by 2030. As you consider making your year-end chartible contributions this year, please consider donating to GFI, to make sure that GFI has the resources we need to take advantage of the tremendous momentum building towards curbing illicit flows within the SDGs. Donations of $10, $50, $100, $1000 or more are all tremendously useful to ensuring that GFI can seize the moment and solve the most damaging economic problem facing developing countries. 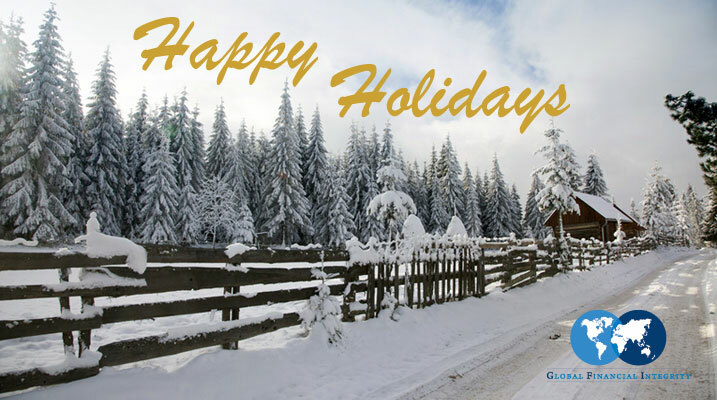 Again, best wishes for a wonderful holiday season and a prosperous 2015.